In Greece and Turkey you will frequently encounter dolphins and sometimes even whales, such as the pilot whale. Dolphin or whale watching is best done by yacht and yacht charter holidays in the Ionian or Aegean waters usually offer a couple of sightings per sailing week. 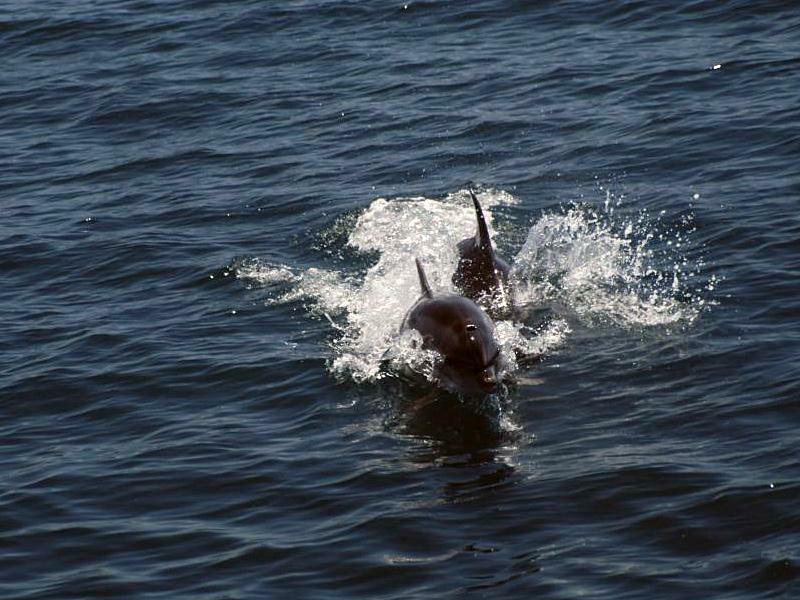 These seas harbour 8 species of dolphins and whales: Striped dolphin, Common dolphin, Risso's dolphin, Bottlenose dolphin and Pilot whale, Cuvier's beaked whale, Sperm whale and Fin whale. A great area to experience marine wildlife is the Northern Sporades, where a sanctuary was established to - mainly - protect the endangered Mediterranean Monk Seal.